Purefoods won. Game 7 is on Sunday. Here are pictures from last night's game. 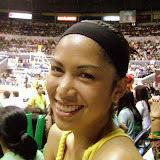 uy, i might watch the game on sunday as well...wanna meet up after?